The Rycote Suspension Medium (MZL) suspension is suitable for the Sennheiser MKH 8060 in a Windshield 2 when used with its MZX XLR module removed. Connecting via the MZL Connbox offers a more compact and lightweight setup. 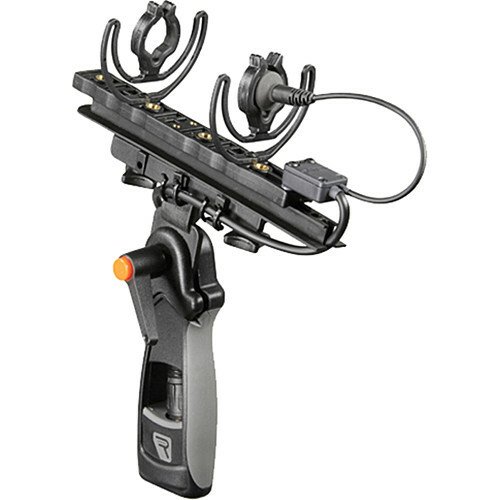 The package includes the XLR Holder Mk II, Boom Adapter for Modular Suspension System, Pistol Grip Handle, ConnBox 1 Microphone Cable Connection Box, two Single Lyre 62 (19/25), two Small (1-Module) Bar and a Hex Head Key. Box Dimensions (LxWxH) 10.0 x 10.0 x 4.0"